Map of France's Camembert cheese region. 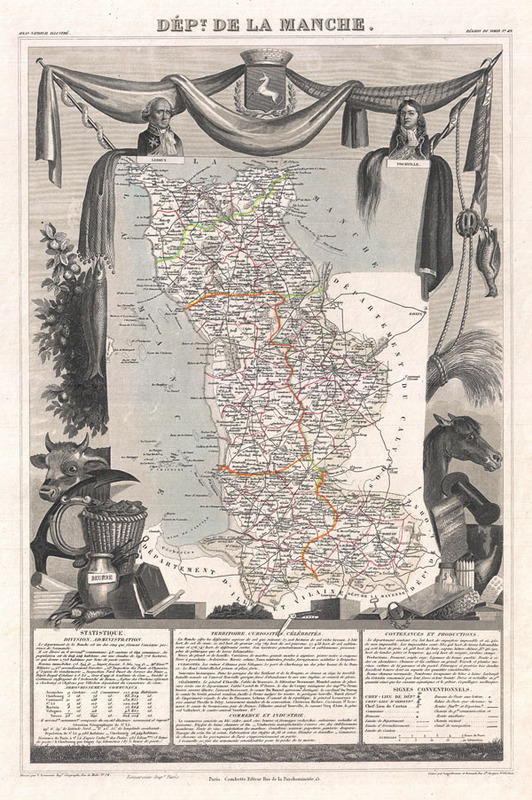 This is a fascinating 1852 map of the French department of Manche, France. This area is known for its production of Camembert, a soft, creamy, surface-ripened cow's milk cheese. The map proper is surrounded by elaborate decorative engravings designed to illustrate both the natural beauty and trade richness of the land. There is a short textual history of the regions depicted on the bottom of the map. Published by V. Levasseur in the 1852 edition of his Atlas National de la France Illustree.